Club 2000 Health and Fitness Inc.
We are a locally owned gym that cares about everyone of our members and will go above and beyond to provide you with a fun clean healthy environment that you can be happy to call your gym. We are happy to offer over 40 classes a week, with wide variety such as Meditation and Zumba. You do not have to be a member to enjoy our classes we offer a flat fee per class for non-members. Please click below to see an updated Schedule. 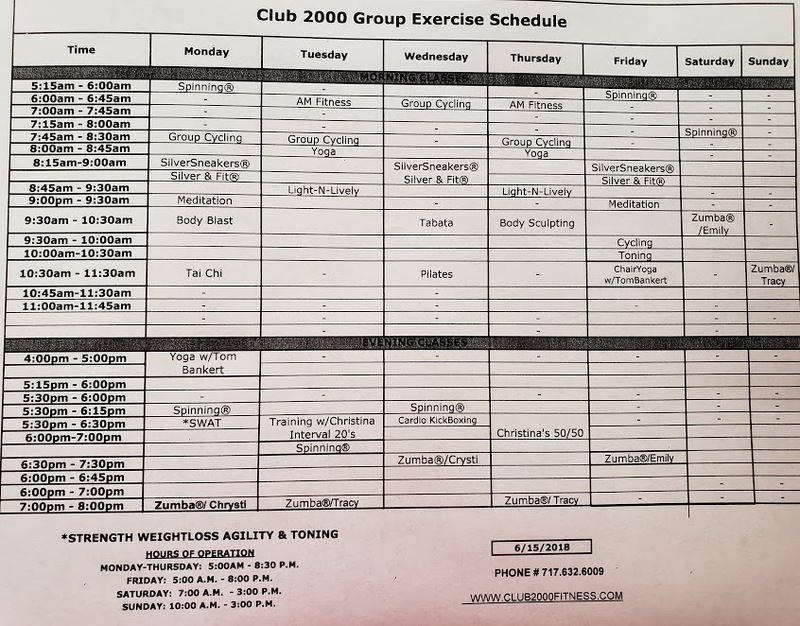 Copyright © 2018 Club 2000 Health and Fitness Inc. - All Rights Reserved.